Colorful, beautiful clouds/sky and nice composition. Looks bright and sunny and I like your point of vew here. Good capture of clouds. A very typical postcard shot I would expect to find in any postcard stand. What really makes this photo is the sky background with those amazing clouds in the distance. Awesome sky to go with your hotel! The pic is good, but the text really needs work. Have you offered this design to the hotel? Only comment for improvement would be keep to the lettering within the black border. 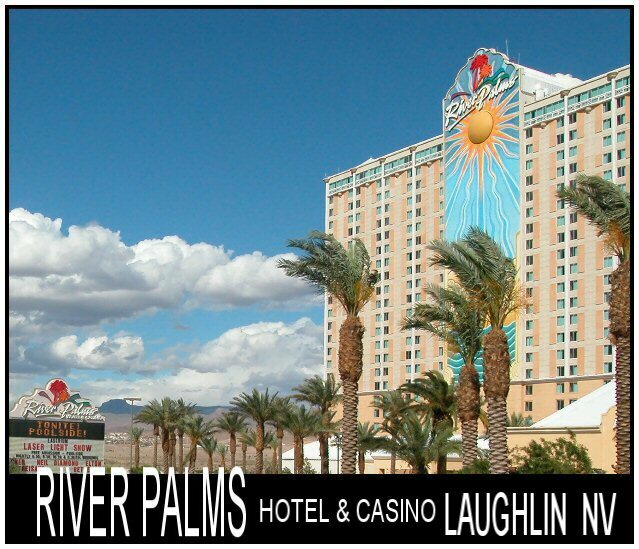 Laughlin, BullHead City......love that place.......Hot!!!!! I have ridden my motorcycle there many times when coming and going to a rally. Just a great place and a lot of fun. Your shot really shows the great sky there, and the colors. Very nice. Proudly hosted by Sargasso Networks. Current Server Time: 04/20/2019 04:35:28 PM EDT.